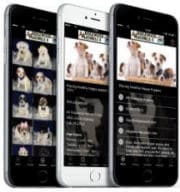 Nutrition is always important when feeding your pets. 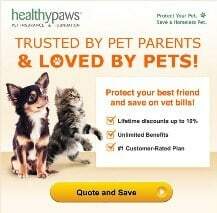 For those needs, try Brown’s Parrot Food. 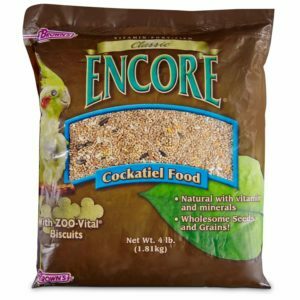 This special blend of goodness is an all-natural seed based food that is specifically formulated to provide the nutritional needs that parrots of most sizes and species require. 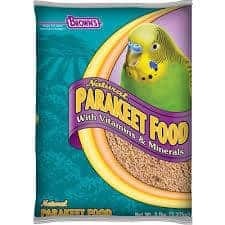 This parrot food is blended with fresh palatable seeds, wholesome grains, veggies and fruits and essential supplements. 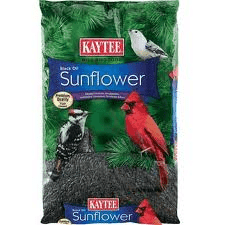 This special 50/50 blend of premium white safflower seeds, stripe sunflower seeds with red peppers, and whole in-shell peanuts creates a well rounded fun and active daily diet to enhance your companion pet’s overall well-being. 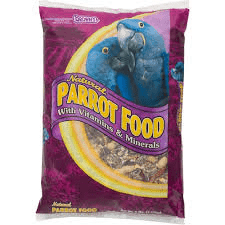 We are sure your parrot will love this food. It’s simply a natural fit!